Confession time: I've never read nor have I seen the 1990 miniseries that was based on the acclaimed Stephen King novel. That King novel, which was originally published in September of 1986 spawned a two-part television event that has always felt well-renowned, but that I always felt would be too terrifying to entertain me. As I got older and became a more eclectic movie-watcher this was one that simply fell by the wayside. The novel is told through narratives alternating between two time periods, one following a group of seven misfit eleven year old children in 1958 and the other following these children as grown-ups who come back to their hometown of Derry, Maine in the mid-eighties to face the ominous Pennywise, a being who exploits the fears of its victims thus the reason "it" primarily appears in the form of a clown. The 1990 adaptation split the two time periods into two distinct parts, or so I'm told, and there are apparently plans already in the works for a sequel to this latest iteration of the source material that would continue the original story of "The Losers' Club," as the kids call themselves, into their adult years. As for how this first outing might fare-so far it certainly has my attention. Despite some solid horror efforts over the past few years I can't help but feel we've had a drought on what are truly genre-defining horror films and though It will largely capitalize on its known brand and iconic elements I'm sure there are plenty of people such as myself who've only heard tell of the dread that Pennywise has brought to his victims that will flock to this re-imagining in droves. 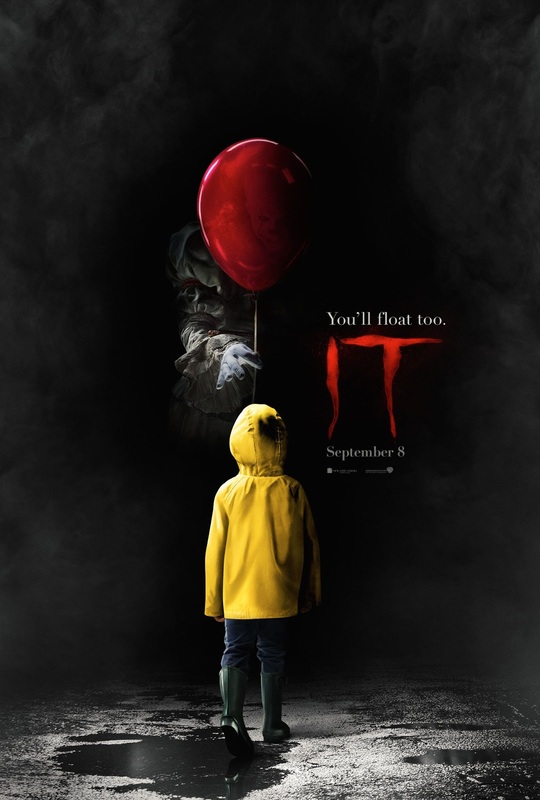 Coming from the director of Mama, Andrés Muschietti, this certainly has the look and eerie feel of a classic horror flick and to that effect, it's been a while since we've had a solid Stephen King adaptation as well so if nothing else here's to hoping Muschietti's film might reverse that fortune. This first, teaser trailer certainly bodes well for what we might be getting this fall as the trailer sets the tone for something truly menacing. It stars Jackson Robert Scott, Bill Skarsgaard, Jaeden Lieberher, Finn Wolfhard, Jack Dylan Grazer, Wyatt Oleff, Chosen Jacobs, Jeremy Ray Taylor, and opens on September 8th, 2017.